Two IndyCar stars and Indianapolis 500 winners Juan Pablo Montoya and Tony Kanaan are the fresh names on the drivers’ line-up for the 2017 Race of Champions at Miami’s Marlins Park on January 21-22. Montoya and Kanaan are joining the field of American racing stars Ryan Hunter-Reay, Kurt Busch and Travis Pastrana, who already confirmed their participation. 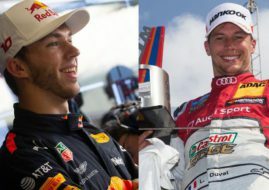 From the other side of the Atlantic, confirmed participants are four-time Formula 1 champion Sebastian Vettel, two-time World Rallycross champion Petter Solberg and ‘Mr Le Mans’ Tom Kristensen. Other driving superstars will be announced in the following weeks. Colombia’s Montoya has one of the mightiest collections of silverware in global motorsport, with two Indianapolis 500 wins, one Champ Car title, seven Formula One wins, three Daytona 24h wins and two NASCAR Sprint Cup wins in his CV. Despite all that, it would be his first participation at Race of Champions. 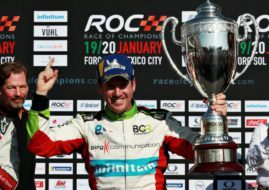 “I’m really looking forward to competing in my first Race Of Champions. It’s an event I’ve always wanted to do, and to be able to race here at home in Miami makes it even more special. I actually won my first international race in America here in Miami – in the Barber Pro Series in 1994. The Race Of Champions is such a unique event, bringing together the top drivers from the main series around the world and from different generations. When I was racing in Formula 1, Sebastian Vettel was a young talent in Formula BMW, now he is a four-time World Champion… We are all top drivers, all very competitive and with lots of respect for each other. So it would be very special to be able to win here in Miami, where I hope I will have a lot of support from the many local fans”, Montoya said. Kanaan is another IndyCar Series champion (in 2004) and winner of the Indianapolis 500 (in 2013). Besides being successful in the open-wheel racing, he also won the 24 Hours of Daytona in 2015. He participated once in the Race of Champions, at Stade de France in 2004. 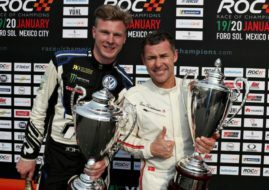 He partnered F1 driver Felipe Massa to the ROC Nations Cup semi-finals for Brazil and enjoyed a memorable battle with World Rally Champion Sebastien Loeb in the Frenchman’s own rally car. “I absolutely loved when I raced at the Race Of Champions in France back in 2004 and I always wanted to do it again. I live in Miami, so having the race here in my backyard is the perfect opportunity to be part of it and to race against the biggest names from motorsport around the world. I’m looking forward to seeing what ROC has put together for us to race at the Marlins Park. ROC is going to be a great addition to the roster of events hosted in Miami”, Kanaan said.